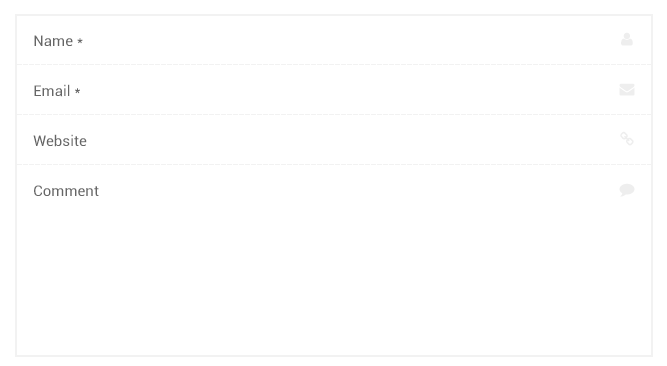 A change in WordPress that just landed in trunk is to move the comment textarea to the top for logged-out users when replying. This is done largely with the goal to improve keyboard/focus navigation, but also aims to make it easier for end users to leave comments on WordPress sites. The change necessitated some filters and actions now being run in a different order. It also means that the HTML output by comment_form will now be different. This is what the comment form looks like after. If you use any of the hooks inside comment_form, but especially comment_form_field_comment and comment_form_after_fields, you are highly encouraged to test your code against the current WordPress nightly and report any issues on ticket #29974 so that any necessary adjustments can be made. Visual records and example code will help ensure everyone is satisfied with the final result. Excellent! It’s the little things like this which have such a big impact on ease of use. Looks weird at first but meaning behind this is big plus. Has anyone gathered feedback on the psychology of the commenters? Without feedback from thousands of commenters and without A/B testing this proposa, itl seems to be based on a notion that could be wrong – namely that a commenter wants to comment first and then claim ownership of the comment. An equally valid psychological insight is that commenters want to claim ownership of what they are about to write. The current order of doing things might also be preferred because it gives commenters time to get into the zone for commenting. Unless you can A/B test this, If it ain’t broke, don’t fix it. As noted in the ticket, the current form is broken. This is a bugfix. So if it is broken, we should fix it. Clicking reply should take the user to the field they can leave their reply, however for non-logged in users, this means they can miss he other fields, especially if they are no vision users. If you have suggestions for alternative ways to fix this issue, please comment on the ticket. I’m mostly in favor of this change for all the reasons mentioned. However, there are some things we should consider. 1) The notification of a required name/email (if enabled) is now later in the flow. A potential commenter may write out a comment to only find out later that they can’t anonymously comment. 2) It doesn’t necessarily address the problem of focusing on the wrong field when replying to a comment. Plugin/theme authors could still add a field earlier in the form via a hook. I’d like to see the JS focus on the first field in the form, regardless of what that field is. 3) There should be a hook for plugin/theme authors to revert the position change of the comment field. I think this is going to be a welcome change. However, this will absolutely break some theme designs (I just happen to have one on hand). And, some people will simply want the old style back. 1) Helen and I were noticing that this exposes some issues with required fields. It may necessitate some other changes there. Certainly open to ideas. 2) In general, I would discourage plugins and themes from doing this, and perhaps encourage them to create their own reply link handler in those instances (and really think hard about WHY that field is more important than the content of the comment). 3) I am generally opposed to hooks that have the explicit goal of creating bugs. Hi, thanks for the update. Is it open to discussion or it will be implemented whatever happens ? I guess it’s already running. I’m not in favor of this change. I don’t understand why it ‘s necessary or maybe it’s a cool feature but is it really urgent ? This will break a lot of design and not for a good reason such as security fix or bugfix. I mean… why backward compatibility there but not here ? Just my opinion, not sayin I’m the truth but I really don’t understand this one. Everything is open to discussion. If you have feedback, it’s best to leave it on ticket #29974. As noted in the ticket, the current form is broken. This is a bugfix that is currently targeted for WordPress 4.4. Clicking reply should take the user to the field they can leave their reply, however for non-logged in users, this means they can miss he other fields, especially if they are no vision users. If you have suggestions for alternative ways to fix this issue, please comment on the ticket. Additionally, if you have examples of how this breaks designs, please comment with those on the ticket (it’s best to include some sort of visual record along with example code and/or links). That said, this goes against some 20+ years of what people see and expect in a form. 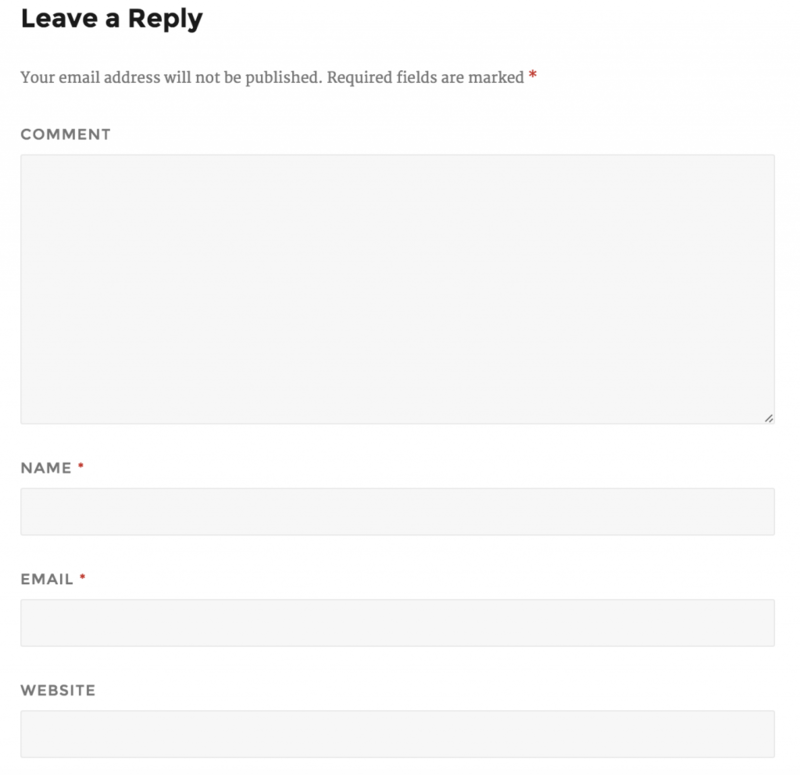 its always name, contact info, options, txt (comment) field, conditional, submit. Even on paper forms this flow is the norm. not really liking this from a usability stand point. IMO it improves nothing. people already know how to do forms. If you have feedback, it’s best to leave it on ticket #29974. As noted in the ticket, it is broken. Clicking reply should take the user to the field they can leave their reply, however for non-logged in users, this means they can miss he other fields, especially if they are no vision users. If you have suggestions for alternative ways to fix this issue, please comment on the ticket. Do you have any data or sources for data on this? 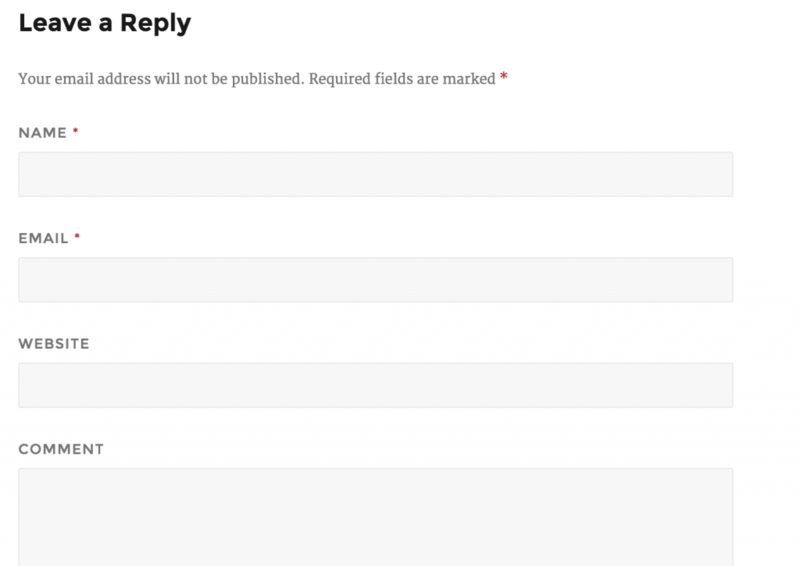 I did a fair amount of market research on non-native-WordPress comment form field ordering in order to help support making this kind of change, and an informal majority of them put the comment field first. This notably includes Jetpack comments, which are relatively common on WordPress sites. Why not provide a settings option for users to be able to position the comment form above or below the name, e-mail and website fields?